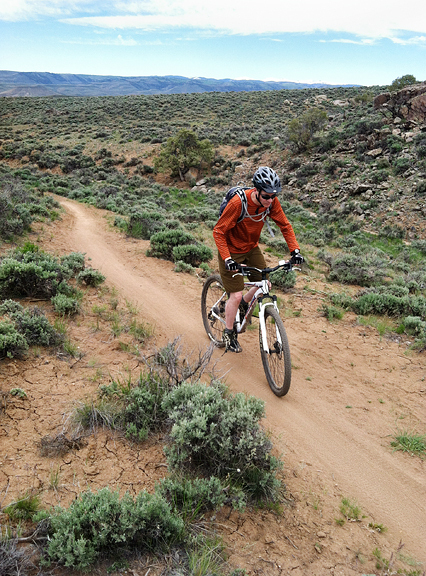 We wrapped up our time in Crested Butte with more riding, more trail running, and a fun dinner at our neighbors’ place. [Talk about a small world – our neighbor knows my uncle!] Then we packed up before sunrise Saturday morning and headed east. Kaweah did so well on the drive home. Normally she’s nervous and fidgety, but this time it was warm enough to have the windows down so she could sniff and watch all of the scenery go by. Kaweah was such a good girl. Everything seems to be an order of magnitude easier in summer: the packing, the travel, less gear, road conditions, weather, the dog. Once home, we were greeted with fog and drizzle, a welcome reprieve from the relentless sunshine that can dominate mountain summers. Apparently, Nederland had received a good bit of moisture while we were away because every known weed had commandeered our front yard and walkway like a scene from some post-apocalyptic movie. But it was beautiful, lush, and green. 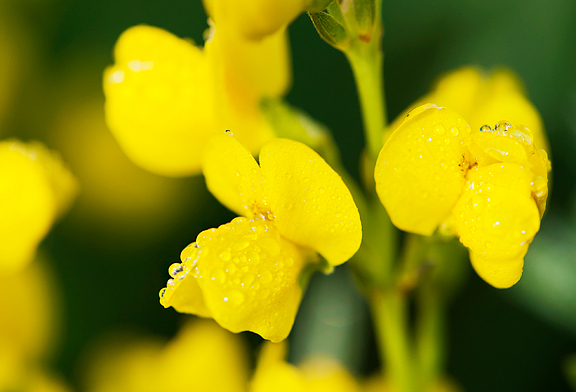 The yard is dotted with colorful wildflower blooms and when you stand outside, all you can hear is the sound of hummingbirds zipping up, down, all around. 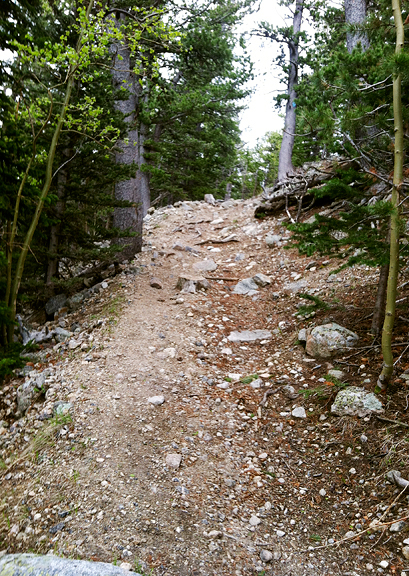 Our trails continue to melt out slowly, but we are able to get more and more miles as winter retreats to the higher elevations. Jeremy and I live for those cool, overcast summer days when we can slip out onto the trails without the sun beating down on us. More often than not, the sun is out and it is intense when you are above treeline and two miles above sea level. We make sure to drink plenty of water on the trail and post-workout. But it’s hard to resist one of those fruity, tart, sweet, frozen slushies in the late day sun. I was turned on to the frozen strawberry basil lemonade at The Secret Stash in Crested Butte, but when I’m home in Nederland, it’s easy enough to whip it up myself. It’s a minimal amount of prep for a huge return on frozen fruity goodness. If you are inclined to enjoy a boozier version of this refreshment, then I suggest adding some strawberry vodka to taste. And if you don’t have strawberry vodka on hand, add regular vodka – it will still be fantastic. 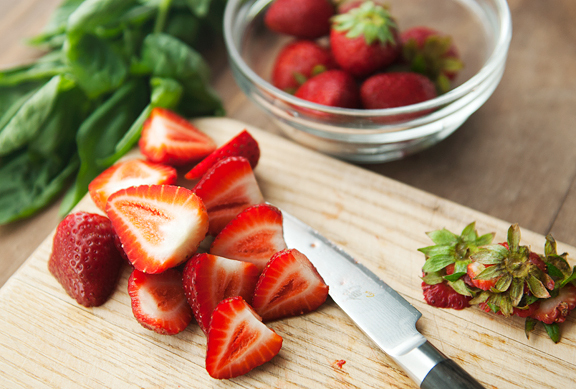 Ripe in-season strawberries are key as is freshly-squeezed lemon juice. 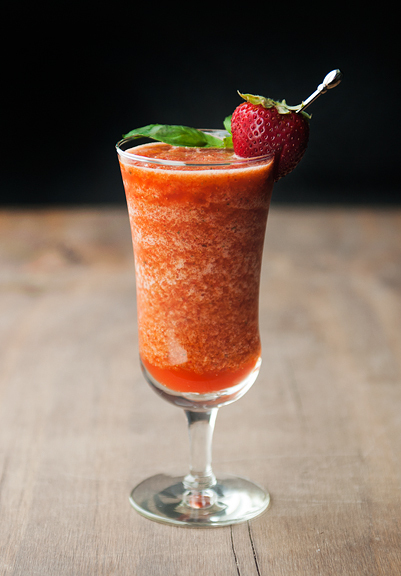 The basil is optional, but I really love including it because it gives the fruit a broader dimension. Do give the basil a chance. 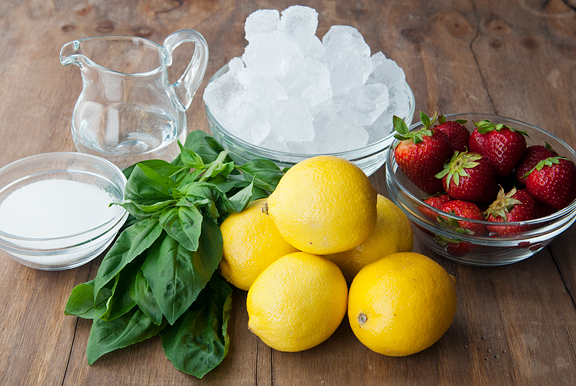 These frozen strawberry basil lemonades are perfect for summer entertaining since everything can be prepped ahead of time and the drinks can be blitzed on demand. Mix a batch for the kids and then mix a batch with strawberry vodka (or regular vodka) for the adults. I know it’s early yet and technically it’s not even summer, but I just want you to be armed with frozen fruity goodness so that you may do proper battle with the heat of summer when the time comes. 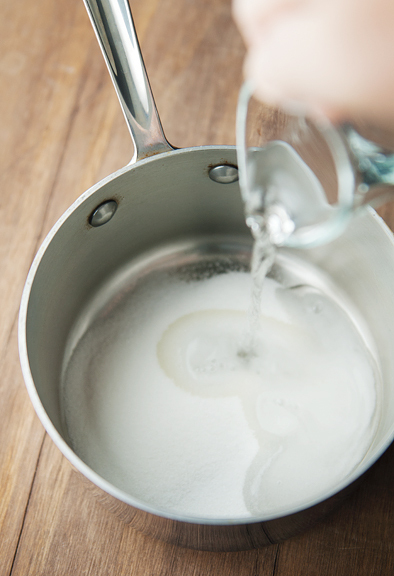 Combine the water and sugar in a small saucepan over high heat. Stir to dissolve the sugar and let come to a boil. Boil for 2 minutes and then remove from heat. Let the simple syrup cool. 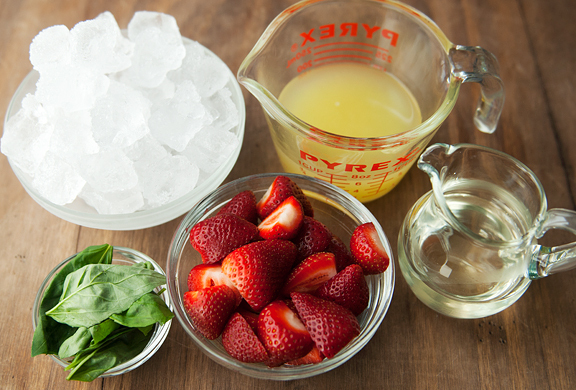 Place the strawberries, lemon juice, basil, simple syrup, and ice in a blender. Blitz everything until it is a smooth slush. Pour into glasses and serve. Makes about 3 cups. Darn kids finished the strawberries last night, or I’d have everything for this! I think I might try to tweak it a bit & make paletas. Or tweak a paleta recipe by adding basil & more lemon. Sounds like a delicious combo. Those look and sound delicious, Jen! I just returned from Italy where I had the most delicious, frosty treat–a chilled glass filled with scoops of lemon granita and filled with iced tea. It was perfect after a long, hot day in Rome. I’ll be trying this refresher, too! 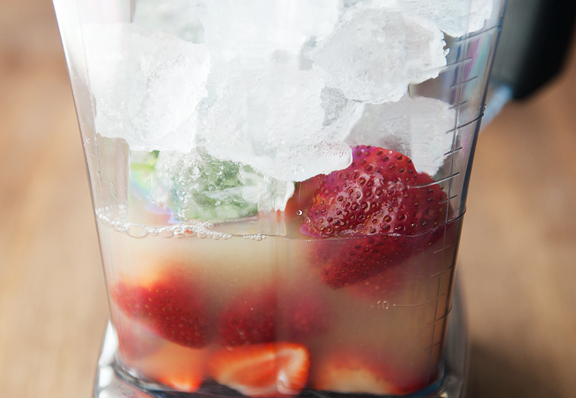 That looks so refreshing!!! I love that combination! Our Basil is just getting to the point where it can start to be used AND it is fresh strawberry season… these WILL be in my future, THANKS (and I wish I were hiking and taking in some of those sights right now too)! This sounds awesome! 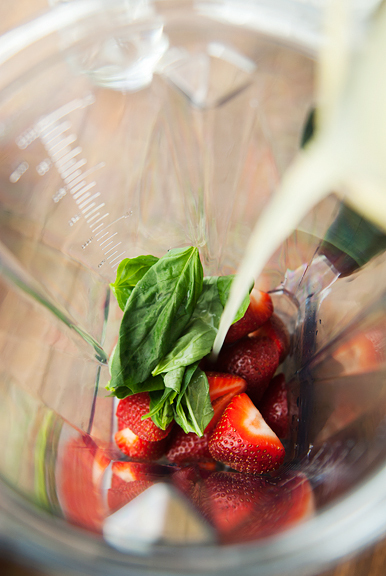 I would love to try this smoothie! I have SO MUCH fresh basil in my garden this year. I’m definitely tring this beauty. I better not share the recipe with M2, or I’ll never have the makings for pesto when I need it (basil). 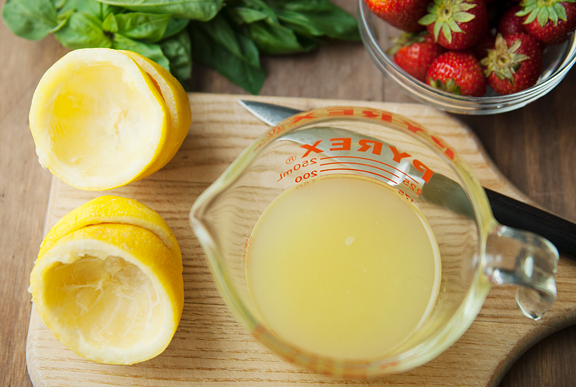 Kristin – I really love the combo of strawberries, basil, and lemon. Paletas sound awesome. 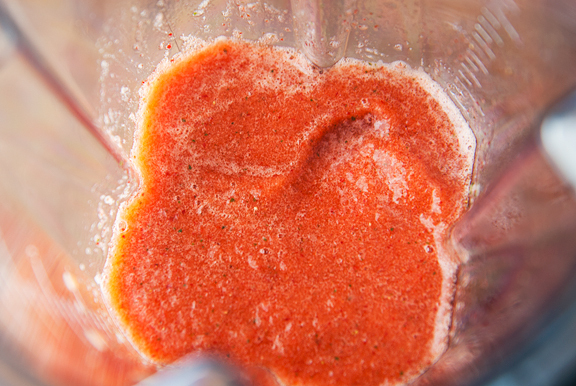 Thekitchwitch – mmmm, we’re going to need a lot of refreshing drinks with all this hot weather! Jillian – well, Kaweah spends much of her time sleeping, so there aren’t a lot of photo ops these days. 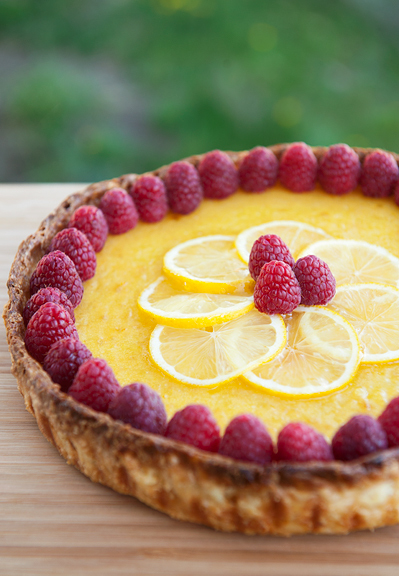 Hello, do you have the recipe for the beautiful lemon tart?